Whenever a new year beckons, new hair trends emerge and take over the hair, fashion and beauty industry. Some hair trends are futuristic, chic and transcend the passing of time whilst others however, come and go. Although we’re only a month into 2013 we’re already getting a glimpse of the hair trends that will be in vogue this year. In this article we’ll show you which hair cuts, colors and styles will rule the roost this year. From Emma Watson to Rihanna, the pixie cut has made its way out of 1965 and is hitting runways and celebrity coifs. What makes this style so stunning is that it highlights stunning facial features and is low maintenance. Pixie cuts particularly favour individuals with striking facial features- think Halle Berry’s cheek bones, Emma Watson’s eyes or Rihanna’s lips. To get the best cut possible, always make sure you visit an experienced hairdresser and take a photo of the pixie cut that you like. Katy Perry isn’t the only one who’s spotting purple tresses. This year hair coloring will take on a new trend which encompasses unconventional colors. If you’re more conventional but want a drop of purple to spruce up your style, try experimenting with darker purple colors. In contrast, if you’re more of a risk-taker dare to be different and opt for multi-layered purple tones. In 2012 the high bun was the most popular hair trend. However, in 2013 we’re heading in the completely opposite direction with the low bun taking over as this year’s go-to hairstyle. Conjuring up memories of vintage Hollywood starlets like Marilyn Monroe, side swept curls represent glitz and glamour. However, the side sweep isn’t just perfect for formal events; it can in fact be a go-to hairstyle for everyday occasions. To get this look, it’s best to wear your hair in pin-curls at night and then unravel them in the mornings. Furthermore, keep bobby pins on hand so that you can neatly pin your hair to the side so that it falls effortlessly. When Kate Middleton stepped out with bangs, we were stunned! Who knew the Duchess was such a trend setter? Her hair was particularly striking because of its vintage-retro feel. 2013 will most definitely be the year of the bang. This is a guest post written by Vicky Olubi. Vicky is passionate about all things beauty related and is the Director of My Curls; a natural hair care company based in London. Visit her website at www.mycurls.co.uk. 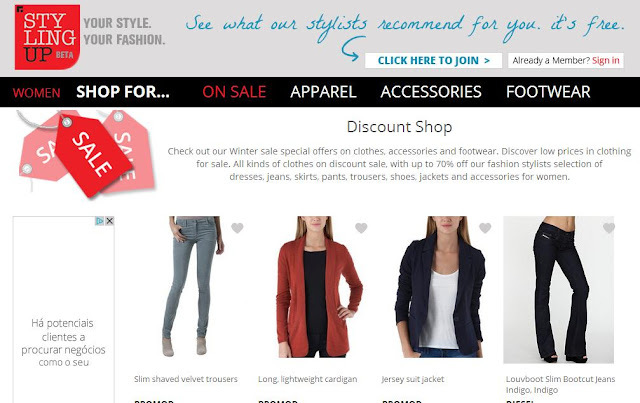 We've just launched a new page with the latest winter sale offers that includes dresses, jackets, jeans, trousers, skirts and much more with up to 70% off price. Now, you'll be able to find all the items with the best special offers all in the same page. We'll update this page with the latest items weekly, so please do check it once in a while.